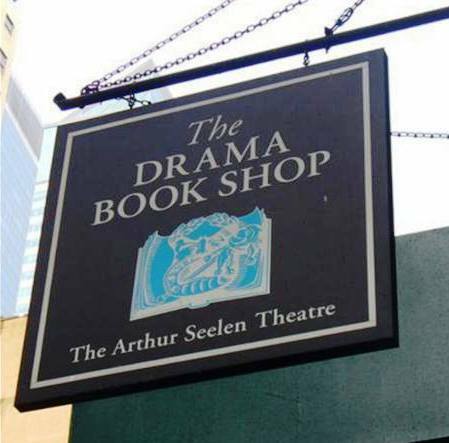 Following Drama Book Shop's announcement last week that it will close when its lease ends in January, the New York City theater community is rallying to help the store financially and to find a new location. For one, supporters have started a GoFundMe campaign with a goal of raising $20,000 to help "find Drama Bookshop a new home." So far, it has raised more than $5,000. On Thursday, Miranda stopped by the store "to sign materials related to In the Heights, Hamilton as well as his recently published book, Gmorning, Gnight!, all of which sold out at the store in about 30 minutes," according to Broadway News. Other playwrights, including In the Heights book writer Quiara Alegría Hudes and Kristoffer Diaz, also signed their works at the store Thursday. Hudes told Broadway News that the "bricks and mortar community cannot be replaced. It is the bedrock. Gathering spaces are how we build traditions, where we grow generations. Ask any young playwright or actor who's ever stepped foot in New York--was the Drama Book Shop a mecca for your path of learning, a sanctuary for your heart? "These play scripts are not found on the shelves of major retailers. The Drama Book Shop is a treasure chest containing rare finds. It is part of what makes New York so special."